Energy source: introverts recharge themselves by getting away on their own, or with one or two very close friends - being with lots of other people drains them. Extroverts on the other hand derive energy from being around other people - silence or inactivity drains them. Processing: Introverts need time and space to think, and will often have their best thoughts long after a meeting has finished. Extroverts tend to enjoy thinking out loud, and will develop their ideas in a group discussion. All of these are generalisations, but can be helpful in understanding oursleves. I have to admit to being a bit of a mixture of introvert and extrovert. I'm definitely recharged by being on my own, and find chatting to dozens of different people on a Sunday drains me of energy. However, I also love to think out loud and enjoy doing things like questions and answer sessions, which is more extrovert behaviour. My Myers-Briggs results always have me as an extrovert (I'm an ENTP for anyone who is interested), but I definitely relate to lots of the introverted traits. 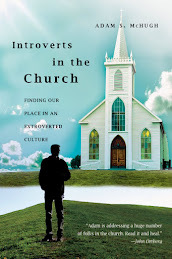 All that to say that I was recently lent a book by Leon Johnson looking at how introverts fit into church life. 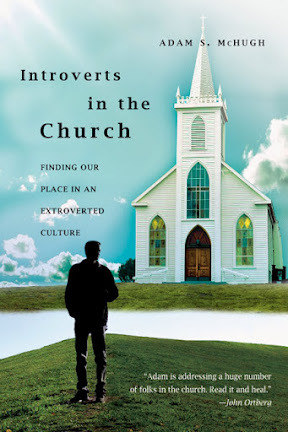 The basic premise of the book is that most churches are designed for extroverts. Everything from Sunday meetings (with little space for quiet or contemplation) to small groups (where we expect people to share their lives in front of relative strangers) mitigate against inteoverts expressing who they really are. I'd really encourage both introverts and extroverts to get a copy and read it, as even if you're not an introvert it will give you a bunch of insights into some of the people around you and why they behave the way they do (they don't just want to be on their own because they don't like you!). You can buy it as a physical book here, or on kindle here. If you do read it I'd love to hear your reflections (immediately from the extroverts, or two weeks later from the introverts! ).